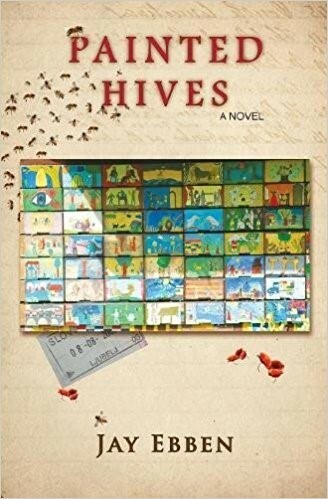 Painted Hives by Jay Ebben The strange and vivid dream that Wilber Jansen had as a young teenager about a vineyard with a cricket field in Slovenia has haunted him now for six years. It was always the same: Sasha, his best friend and first true love, was there in the vineyard waiting for him. Wilber is now attending college where he, serendipitously, stumbles upon the opportunity to attend a week-long beekeeping class in Slovenia. This is his chance to go to Slovenia and find the vineyard from his dream. Maybe Sasha is actually there waiting for him! Arriving in the capital city of Ljubljana, Wilber meets two people who astonishingly resemble characters from his dream . . . and with that, Wilber’s adventure begins. Freaked out by these and other encounters, and with only a week to find Sasha, Wilber enlists his beekeeper mentor and befriends an attractive and bubbly bank teller, Nina, to help him. They set off on a journey to discover the location of the vineyard with the cricket field . . . expecting to find Sasha.